The Irizar service offers totally customized turnkey projects, designed and created to meet 100% of customer needs. The service network is still in the process of expansion and it is currently possible to locate an approved Irizar warranty workshop in all places where its vehicles operate. Irizar e-mobility has decided to establish an exclusive and high-quality after-sales service in cities using its electric mobility solutions, which offers personalised R&M packages and is managed by technical experts and locally hired employees, thus helping to create local wealth and jobs. Irizar e-mobility also offers consulting. It carries out energy studies of the operator lines and uses the data yielded by these studies (operating data, speed, line characteristics, terrain, line etc.) to advise on the energy needed to embark on its optimization strategy, power parameters, solutions and charging times and battery life. It is also possible to coordinate the civil engineering works. To guarantee the interoperability of the bus fleet, standard charging infrastructures are provided (ISO 5118, DIN70121, OCPP 1.6 CE mark, EMC 61000-6-2, 61000-6-4, IEC 61851, IEC 61000). They also offer comprehensive preventive and predictive maintenance of vehicle systems and components with impact on life cycle costs, improvement of vehicle availability or performance and residual value of the asset. It does so, in essence, by using diagnostic tools that are capable of monitoring the vehicle (doors, batteries, air conditioning and heating, pantograph, power train...) and which provide bus availability and reliability statistics, optimise maintenance time and carry out real-time monitoring of the system. The availability of a fully guaranteed comprehensive repair, tune-up and maintenance service 24 hours a day, 365 days a year remains a feature that sets us apart. Smart technology.With our proprietary technology we can provide constant updates for the included systems with the goal of effectively meeting the challenge of maximising the useful life of every vehicle in order to optimise the value of your assets. 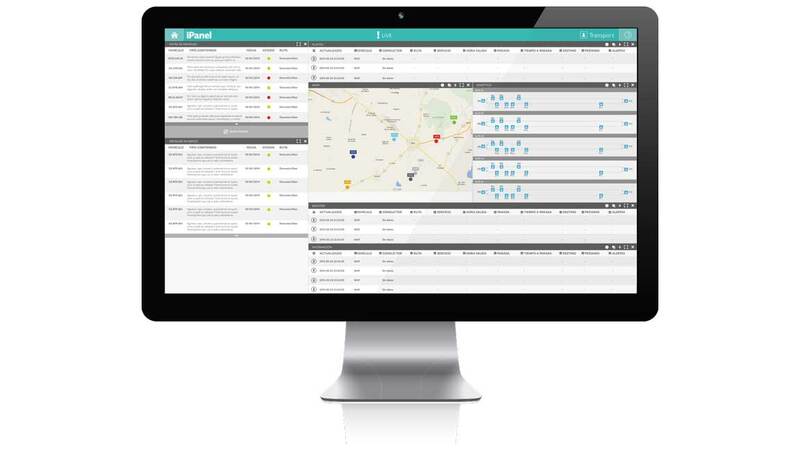 The fleet management system is another of the added values, which in addition to exhaustively monitoring costs and fully customizable efficiency, can optimize the performance and profitability of each fleet and provide safety during driving. The operator therefore has the added benefit of having a single point of contact at every stage of the project, including after-sales service, maintenance and custom repair which are reflected in optimized vehicle reliability and availability.